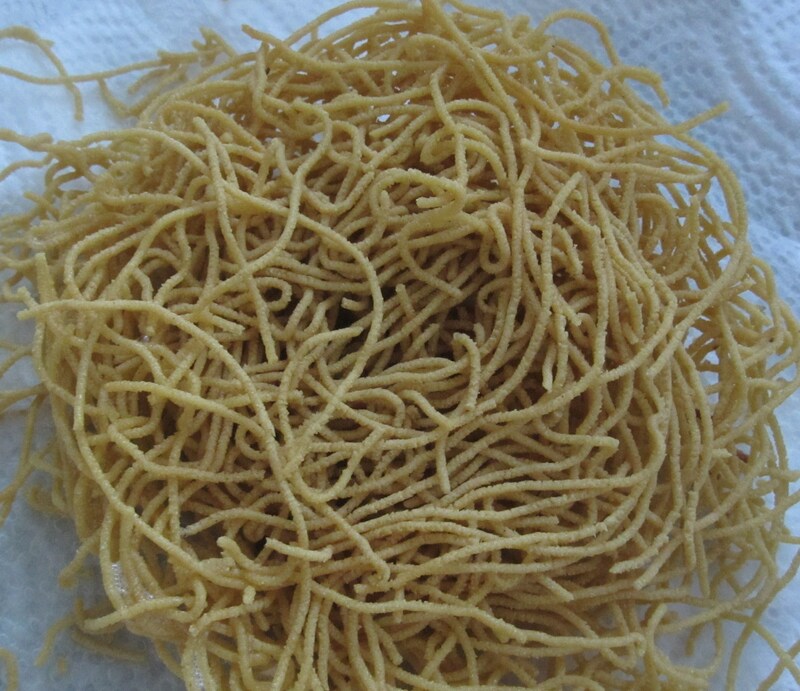 Now, to one of Deepavali savouries – Omapodi or Sev in hindi. Before coming to omapodi, about the savoury maker – achu kuzhal. The traditional achu kuzhal or the mould for making different kinds of deep-fried snacks used to be a wooden one or a metal one. I am yet to find mine as I kept it safely in the shaft but couldn’t locate the safe place. 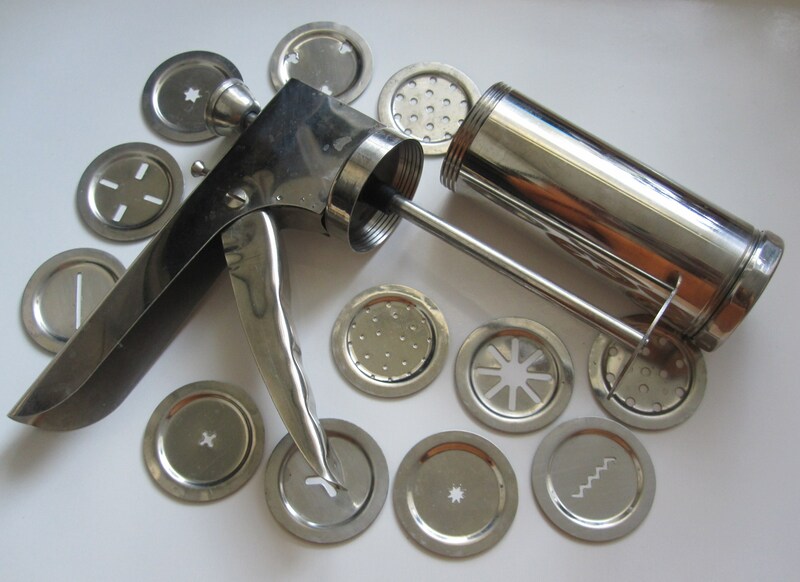 It has thin round plates/discs with different shapes and holes to make different kinds of savouries. In the picture is a modern murukku/sev maker – but the different discs and tubular press do the same as the traditional achu kuzhal. The tight dough of the savoury is put in the tubular container and the lid is fit with the required disc and closed. Then the dough is pressed out into hot oil and fried. 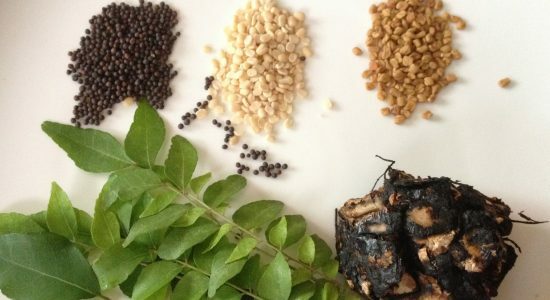 Omam is tamil means Carom seeds or ajwain in hindi. This sev is made with ajwain or carom seeds which helps in digestion and also relieves cold and chest congestion. Among the moulds, the thinnest is used to make omapodi. If preferred the next size mould can also be used. Rice flour is added to gram flour to make this savoury crispy. After it cools, crumble and store in an air-tight container. Red chillies can be added to omam while grinding for extra flavour. After adding omam syrup, the coarse flour can be divided into three portions. Sprinkle water to each portion just before frying. This keeps the total dough fresh from becoming dry and each portion of dough is freshly made for more perfect omapodi. Previous Post Quick and Easy Thaalicha Paruppu/Seasoned Lentil! Next Post Susiyam – Deep fried lentil-jaggery sweet balls!